“The Indian monsoon is notoriously hard to predict. It is a very complicated weather system and the processes are not understood or recorded in science. " The project called the Bay of Bengal Boundary LayerExperiment (BoBBLE) aims for a better understanding of the actual physical processes so as to ultimately create more accurate forecasts. Researchers from University of East Anglia and Reading (UK) and the National Oceanography Centre (NOC) in Southampton along with scientists from four Indian institutions: the Centre for Atmospheric and Oceanic Sciences (CAOS) Bangalore, the Indian National Centre for Climate Information Services (INCOIS) Hyderabad , the National Centre for Medium Range Weather Forecasting (NCMRWF) NOIDA NCR and the National Institute of Ocean Technology (NIOT) Chennai, will embark on June 24 from Chennai on the Indian research vessel Oceanographic Research Vessel ORV Sindhu Sadhana. 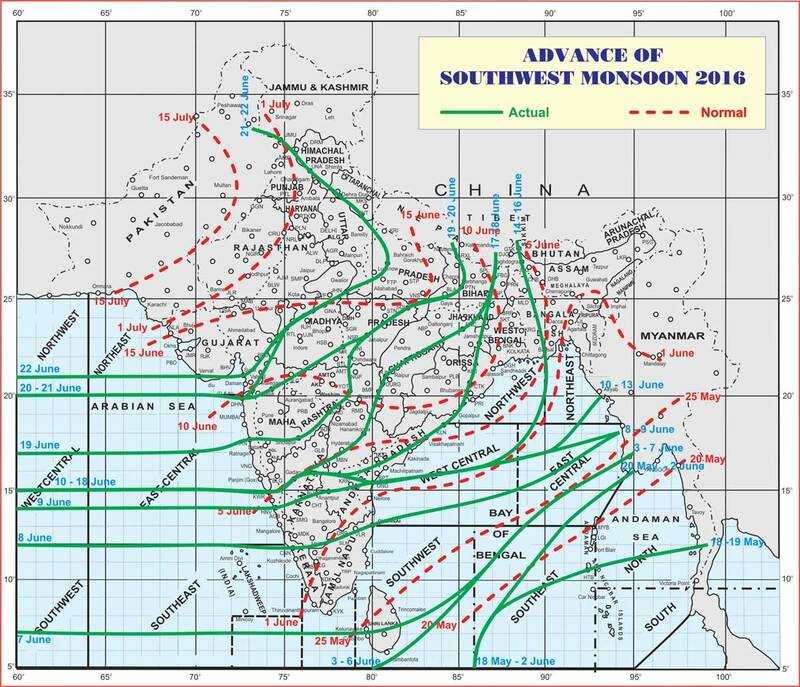 Quantitatively, monsoon season rainfall for the country as a whole is likely to be 106 % of the long period average with a model error of ±4%. 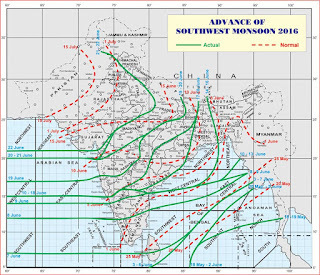 Region wise, the season rainfall is likely to be 108 % of LPA over North, West India, 113 % of LPA over Central India, 113% of LPA over South Peninsula and 94 % of LPA over North East India all with a model error of ± 8 %. The monthly rainfall over the country as whole is likely to be 107% of its LPA during July and 104 % of LPA during August both with a model error of ± 9 %.